Gracia is one of the 10 neighbourhoods that compose the magnificent Barcelona, specifically the smallest of them. Despite its size, Gracia is one of the most attractive neighbourhoods in the city. It needs to be said that not all neighbourhoods preserve for so long time their unique personality and awesome display of culture. Gracia has the architecture and the environment of a small city but in the heart of the metropolis. Its streets, its squares give this neighbourhood its own identity that is transmitted. The location is key in the life of a freelancer or an enterprise, therefore, it is very important to know what this neighbourhood can contribute to your business that you won’t find in other places. Firstable public transport. 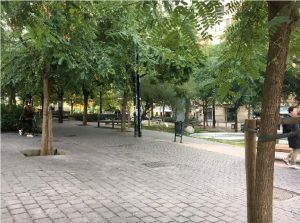 Gracia is a neighbourhood with many access facilities. You will find Bus stops, metro and train stations throughout the Vila, also Bicing stations and bicycle parking places are common and other interesting alternatives like Avancar. Besides, most of the streets of the neighbourhood are a pedestrian priority, so going from one place to another one by walk or skate is nice and easy. When you decide about a coworking, it is important to prioritize that has good access -as well as to make it easier for clients-. Gracia is a multicultural neighbourhood, an aspect that enriches those of us who work here. Working in a zone so rich in culture gives you a more open global vision of the world and much more realistic. Living in multiculturalism is an advantage that few places can offer you. Gracia unites the antiquity of traditions with a recent cosmopolitan culture. Creativity is expanding constantly. A neighbourhood full of cinemas, theatres, cultural centres, galleries, and local shops that give each area of the city a very attractive image. Gracia has a multitude of spaces that can turn your workplace into the perfect environment to spend the morning. Without forgetting that it can bring you many facilities in the labour issues. The space that surrounds your place of work is important because it significantly influences your mood and your behaviour. Noise, temperature, pollution … These are factors that affect our daily life and these vary depending on where we are. Gracia has unusual places that will turn into your everyday scenario in your stage in a Coworking. Is the centre of the important communications hub that makes up the Gracia neighbourhood in Barcelona. Connected with public transport by different routes and transports -Bus, train, underground-, the large square greets you with its open spaces. A large park with a touch of modern architecture. An ideal park to give you a break, to walk or to have a coffee in one of its cozy cafes. Are you looking for a working space 10 minutes from the centre of Barcelona? 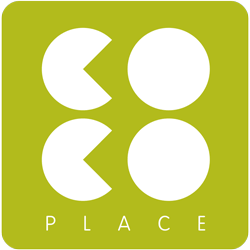 Coco Place is a few walking distance of the most important places in the city. 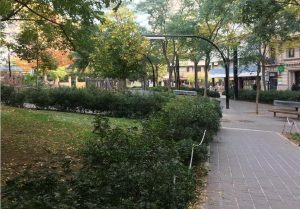 Very often green spaces shortage in large cities and crowded neighbourhoods. The Gardens of Mestre Balcells are the clear example that Gràcia is different. This little oasis of peace is dedicated to the memory of the founder of the Orfeó Gracienc. Coco place is the closest Coworking to these gardens, which are only 20m away. This square has also preserved the atmosphere of the area for many years. Around it, we can see some of the unique buildings that make of Gràcia such an authentic neighbourhood. 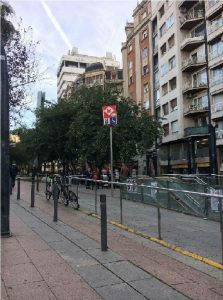 The Coco Place is only 10 minutes away from Plaça Joanic where you will find the homonym line 4 metro station and other public transport stops. Another important place is the plaça del Diamant, famous for giving the name to a novel by an important Catalan writer, Merçe Rodoreda. One of the multiple samples of culture that can be found in the neighbourhood. This square is 5 minutes walking from the line 3 metro stop Fontana. Another important aspect when you think about a workspace, are its facilities when you have to eat. 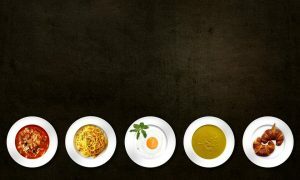 Since you will spend a lot of time around coworking, you will probably eat out of home many times. Gracia is a neighbourhood defined by the good quality of its food – and multiculturalism – while maintaining ‘non-tourist’ prices. The wide range of bars, taverns, old wineries, and restaurants is extensive. Catalan food, meals of the world, tapas bars … Everything you need to take a break and return to work. The exterior of the Coworking is going to be a determining factor in how you affront the day. The facilities that can offer you, are the ones that you will take advantage of tomorrow, for that reason, it is important to make a good choice not only of coworking, but of the space for which we are going to be surrounded. Also in the article 8 tips to choose a good coworking, you will see the necessary features to not fail in your choice.